This smart and trendy apparel is something you should not miss in order to experience an impressive style statement. Cameron Boyce is looking exceptional wearing this super classy jacket as Carlos. So,the screenshot is taken from the television series Descendant. 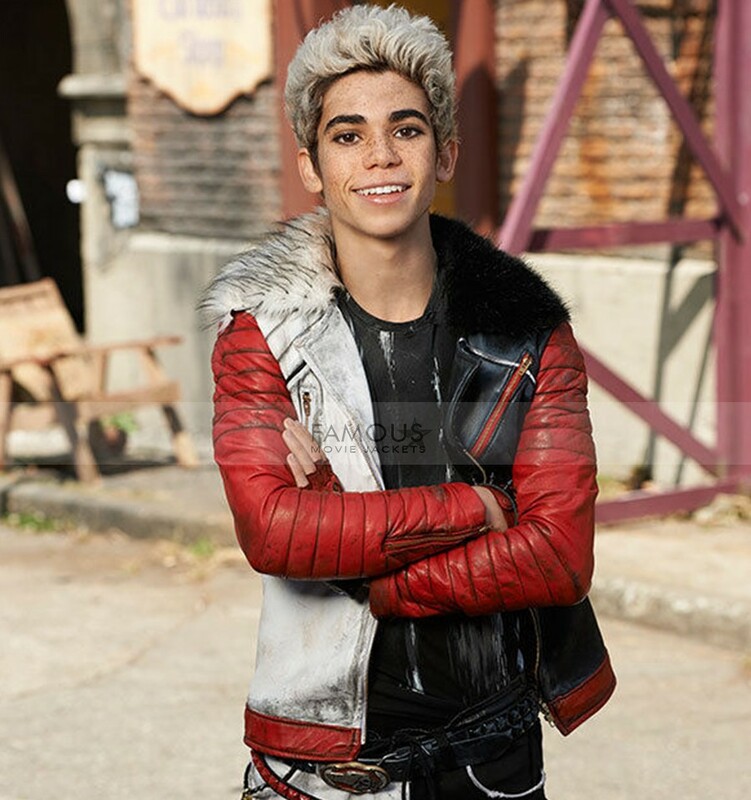 The Carlos Descendants Cameron Boyce Leather Jacket is made of 100% pure and genuine leather material externally. The fine blends of colors make the jacket alluring enough. 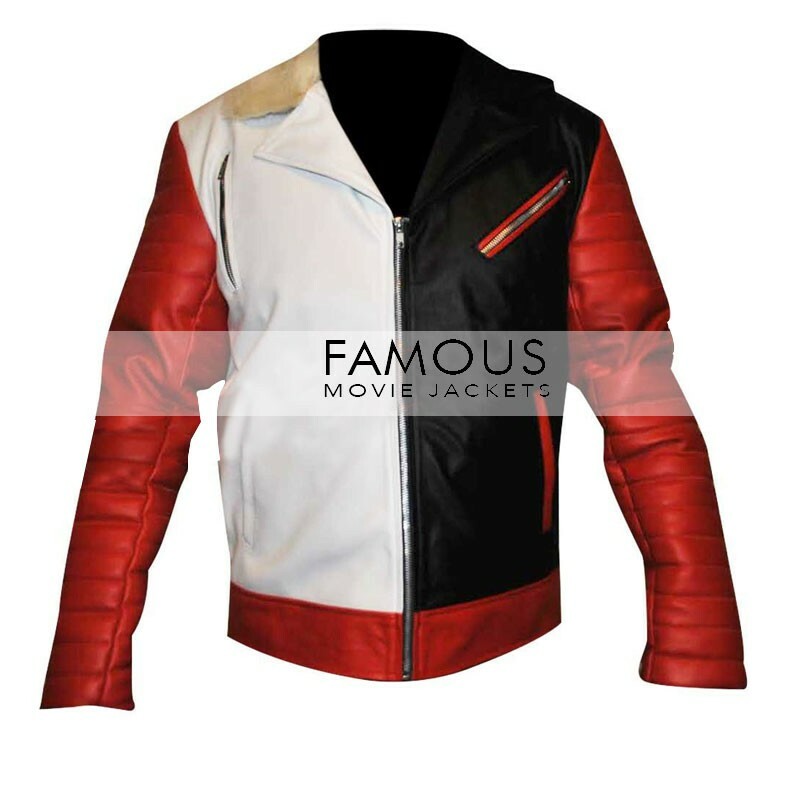 The red padded sleeves with zipper cuffs, one side glossy black and one distressed. Well, the smart apparel is all set to portray your biker look as with the ravishing fur turn down lapel and asymmetric zip closure front. While the zipper pockets and belted waist enhances the grace of the jacket. 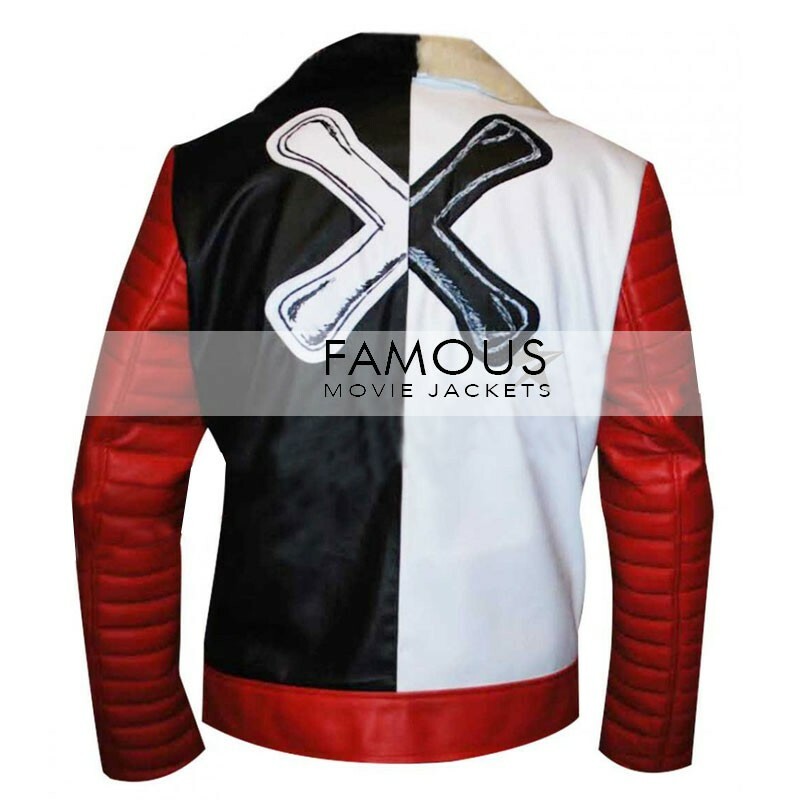 Pick this Cameron Boyce Descendants jacket no. Pockets: Three Waistline Pockets Externally and Two Internal Pockets.